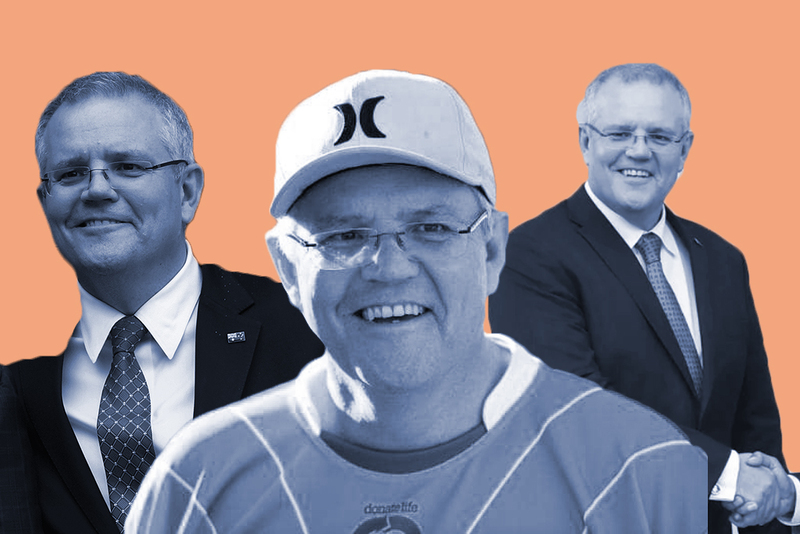 Since the latest #LibSpill six weeks ago it’s pretty clear Team Scott Morrison has a three-step marketing strategy in place to sell him to the public, and is sticking with it. 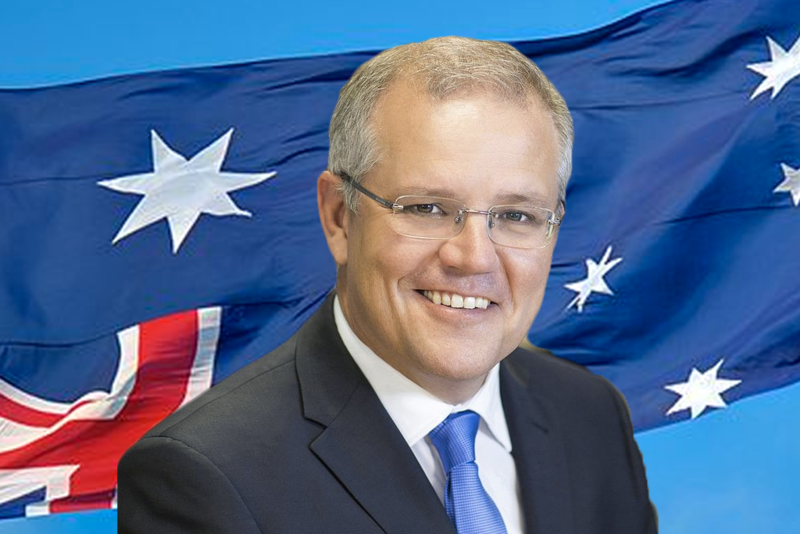 Step 1: the Aussie voter needs to want to buy into good old ‘ScoMo’, a.k.a the ‘Daggy Dad’, with his ‘average’ mortgage, young family and patriotic flag pins. Bonus points for throwing in some pop culture-flavoured social media action for the millennials, and watch out — a ‘black friend’ for the diversity crowd. Step 2: It is essential that white men, and the women who love them, begin to feel threatened, as though they are part of an oppressed minority. 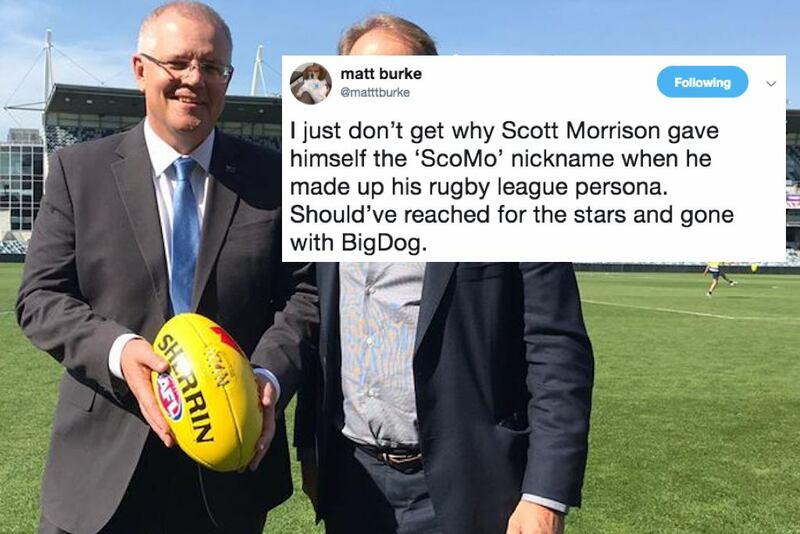 This will let Team Morrison justify prioritising white privilege over everyone else, under the guise of freedom of speech. Step 3: We all need to agree to go back to the 1950s regarding pretty much everything — especially Indigenous rights and climate denial. But buying into the Daggy Dad trope means ignoring the children withering away with resignation syndrome on Nauru. Accepting the PM’s ‘average’ mortgage line requires failing to recognise that Morrison is on more than $500,000 a year. We’d have to ignore his investment property, and the security he is guaranteed with the significant pension he will receive when his time (however brief it may be) as Prime Minister is done. The average white man does not exist in a vacuum, and a growing awareness of what privilege and oppression truly are will make the whole “Daggy Dad” schtick a tricky sell. The fact that white men hold the majority of positions of power in this country will also add to the slow uptake of that lie, but hang in there — even flat-earthers have their own convention now. But no one is going back to the 1950s without a fight. In many ways, I represent the voter who Scott Morrison is attempting to ingratiate himself with. If you ignore everything I stand for and reduce me to some statistical facts, I suspect I fit the bill. Heterosexual, cisgender, legally married with two children. Financially middle class, a professional with a mortgage, a lover of puns and Dad-jokes. I even already knew all the lyrics to Fatman Scoop’s ‘Be Faithful’. For the record, I think ‘It Takes Scoop’ would have worked much better. There was a time in Australian politics where some of these basic statistical facts of my life would support other assumptions about me: that I would be conservative, from a middle or upper-class family, private schooled, Christian. You could assume I would be interested in protecting ‘classic’ middle-to-upper-class interests, in favour of substantial financial support for private schooling, and generally trusting of the government. I am none of these things. I grew up in housing commission homes in richly diverse communities. I was educated through public schools, and am proud to be an Aboriginal woman. The highly educated are no longer exclusively white, wealthy, and predominantly male. My experiences won’t allow me to forget what it is I care about, or where it is I come from, and when I look around at the people who hold power, influence, and position in this country, I know that is true for many of them too. We are a diverse nation, those who are in powerful positions, with platforms and influence, no longer exclusively represent the wealthy, white, male elite – and neither should our politicians. The marketing pitch of the average, daggy dad, isn’t working. The LNP no longer understand how to reach their target market. We see what your marketing strategy is, but we are reading the reviews online — and we are not buying what you are selling. Maybe Morrison, his marketing team and strategists should have spent less time criticising the ABC, and more time watching it. Gruen, for example, might have served them well.